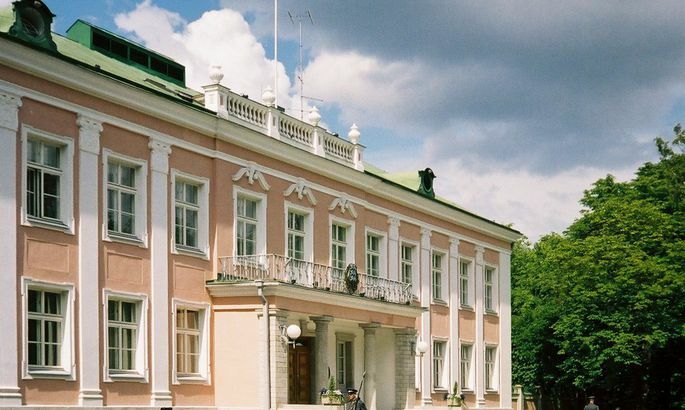 At presidential elections, EKRE has no advantage in potential post-Riigikogu run and instead of Reform, Centre's «Western wing» plays main role in sifting out the President, suggests a leading Reform cadre Kristen Michal. -How are you looking at the current Presidential elections, hmm what would you call it? The start has been bumpy. Everybody knows the presidential elections are coming but there is no common position or agreement where to go from by clear blueprint. On the other hand, some are enjoying what is happening, some sincerely, some from excitement, others with other feeling. Some things have crossed the line like it is not like Estonia do discuss parents. For onlookers, it is interesting. It’s like having a ticket in front row and the scene is on where there will be a killing – of the candidates who first came out into the open. Meanwhile, it is obviously leading to an understanding that the entire political spectrum has a responsibility. Whether Estonia is united to the West in values and choices or will we talk the badly concealed Kremlin talk. Like that 500 refugees from a war zone are something to make us rather do close cooperation with Russia and forget the European Union. Quickly, it seems, we are forgetting the history. -You are referring to EKRE? In America, they have a saying that if it walks like a duck, quacks like a duck, it is a duck. A trend one detects at the moment is that EKRE is taking itself into isolation. After elections it has a choice: try to make itself fit for coalition, seeking for contacts and a common part, or then cooperate with the Edgar Savisaar wing. With the latter, they have now enjoyed close cooperation and by their activities and statements have taken themselves into isolation. Feels like for those, at least, whose view on security is not linked to benevolence of Russia only. Here I am referring to [EKRE chairman Mart] Helme saying, sounded like Yana Toom to me, that Estonian security is dependent on good relations with Russia. Or like somebody’s sunstroke type of a suggestion that our military allies ought to wear uniform in leisure time. -In elections, EKRE is clearly hoping for options in the post-Riigikogu run. The imagination that the post-Riigikogu broader electorate body is something indefinite and totally unlike the Riigikogu or of what Estonian people are thinking is unfounded. If in round two Marina Kaljurand and Mart Helme would run, Marina Kaljurand would win. Estonian people are prudent and for extremes we have a very narrow margin. Those with something positive to offer will always beat those whose talk makes you sick. -What hopes would you think Centre has? Regarding these presidential elections, it surely plays a role what the Simson-Reps-Ratas team will do. Their choices will not lead to a new coalition, but for them this is the best opportunity near-term to define themselves as part of another values-space as Edgar Savisaar. -Have you any hopes that President gets elected in Riigikogu? There is the probability. Also, Riigikogu has the obligation to at least try. Mathematically, it is also obvious that it is only with Centre of Reform support that President can get elected. Without one of these, mathematically it will not work in Riigikogu or round two. Nothing doing – the President-to-be will smell a bit Centre or a bit Reform. Let Mr Helme or Mr Savisaar have 38 votes if they will, they will not have our 30. If President gets elected in Riigikogu, the new generation in Centre will have thus to decide. Whether to continue the Savisaar-EKRE values-space or rather go for future cooperation with other parties.